The case in which O.J. Simpson was charged with the murder of his ex-wife Nicole Brown Simpson and friend Ron Goldman has become infamous in the past two decades since he was acquitted of the charges, but, Simpson was later found liable in civil court for their deaths and ordered to pay $33.5 million in punitive and compensatory damages to their families. 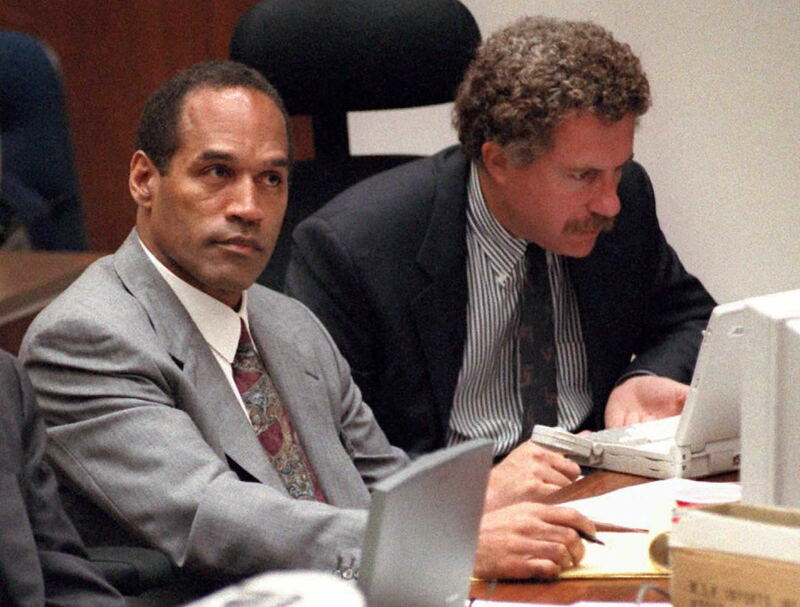 Now, shows like ESPN's five-part documentary O.J. : Made in America and Reelz's Monday Simpson lineup which includes Kardashian: The Man Who Save O.J. Simpson and National Enquirer Investigates: O.J. Simpson are bringing the trial once again into the limelight. But viewers may be wondering about the basic facts of his relationship to the victims, for instance, when did O.J. Simpson and ex-wife Nicole Brown get divorced? They officially divorced in 1992, according to The New York Times, after seven years of marriage and a period in which they attempted to reconcile their differences. But, the pair, who had two children together, reportedly continued to see each other even after the legal end of their marriage. According to the Times, Simpson and Brown spent a lot of time together after their divorce, vacationing together in Mexico with their two children. Additionally, the Times reported, Simpson spoke about Brown often, and even mentioned the possibility of remarriage, though he continued to pursue and date other women aside from Brown. One friend interviewed by the Times claimed Simpson and Brown would speak on the phone for hours at a time. Still, the relationship between Brown and Simpson became a part of public knowledge following his arrest, including the fact that he was charged with spousal abuse in 1989, as reported by The Chicago Tribune, four years into their marriage. In a response to the incident, as reported by the Times, Simpson released a statement through his spokesman in which he said, "We got into an argument which escalated and the police were called. Fortunately, neither one of us required any medical treatment." But, as the Times reported, the police report cited Brown needing treatment for a black eye, cut lip, and bruises, and allegedly claimed to police officers, "He's going to kill me." The Times reported that Simpson was charged for spousal battery, but according to the police report, Brown attempted to drop the charges the following day. Simpson pleaded no contest and was fined $700. However, this wasn't the only incident between Simpson and Brown. Later, 911 recordings of a separate incident included Brown asking the police for help while Simpson yelled in the background; these recordings were released to the media following Brown's murder. So, the question of when Simpson and Brown broke up doesn't have an easy answer. Though their marriage legally ended in 1992, their relationship continued on in a different manner until her death in 1994. Now, because of the highly publicized murder trial, the two will be linked forever.